Columbus, Ohio - The Arena Football League announced today the Columbus Destroyers as the official name of the new team in Columbus, Ohio, the most recent addition to the League. Also announced was former AFL player and coach, Matthew Sauk, as the Destroyers' head coach. The Destroyers will begin play in April at the start of the 2019 AFL season. "Columbus was a very successful AFL organization in the past, with its incredibly strong market," said Randall Boe, Commissioner of the AFL. Judging by the enthusiasm we've seen since over the last several weeks, their future is looking incredibly bright. The fans are excited to have an AFL team back in Columbus - it's going to be a great season for Arena Football." 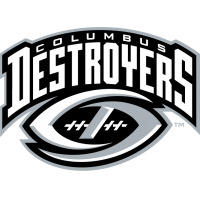 The Destroyers return in a big way to Columbus, Ohio, in 2019 after having built a strong history in its five years as the Columbus Destroyers from 2004-2008, when it averaged over 14,000 fans per game. Upon the AFL's initial announcement in early February of the return of a team in Columbus, Ohio, the national reaction showed excitement and promise for the future of the League. Matthew Sauk adds to this excitement after being named the head coach for the Columbus Destroyers. Sauk was a quarterback in the AFL until 2008, when he began his coaching career. He was the offensive coordinator for the AFL's Utah Blaze from 2011 to 2013, and was the head coach of the Portland Thunder in 2014. Sauk returns to the AFL after most recently coaching an IFL team in 2017, and brings extensive experience that sets him up well for success in Columbus. Columbus proved itself to be one of the strongest markets previously in the AFL. For its return to the AFL, the decision was made to implement a logo similar to the original one with which many identify with, while modernizing its elements to reflect the direction of the Arena Football League. The color scheme includes black, white and gray. The color scheme allows for a sharp, clean look that evokes a modern feeling, following the direction of the League as a future-driven entity. The League's movement toward the future is fueled by an already action-packed game, and will be even more so as technological innovations advance over time. The AFL is working to take advantage of such advances as a way to make its game engaging in a new way for fans. Season ticket plans are on sale, and fans may go to www.columbusdestroyers.com to place a deposit. Seating preferences will be determined by the order in which deposits are received. Fans can follow the Columbus team on Twitter, Instagram and Facebook at their new handle, @AFLDestroyers.